Dental pain can be difficult for caregivers to identify. It is a symptom of an underlying cause and must always be investigated. In this article, we will look at some of the common causes of dental pain in cats and the treatment. Also called lymphocytic-plasmacytic gingivitis-stomatitis-pharyngitis (GSPC), stomatitis is inflammation and ulceration of the soft tissues in the mouth. There is no definitive cause but it is felt to be multifactorial with an immune-mediated component, possibly representing a hypersensitivity to oral bacterial antigens. Other possible factors include oral irritants, some viruses (feline herpes and calicivirus), immunodeficiency diseases, metabolic diseases, drug reactions etc. Stomatitis is very difficult to treat and response to many treatments are poor. If the cause can be identified, then specific therapy can be aimed at treating or managing the problem, as indicated. Professional cleaning of the teeth under anesthesia is necessary, as a periodontal disease may cause or at least contribute to stomatitis. Clean the cat’s teeth daily at home to keep plaque under control. Cats unresponsive to treatment may require extraction of all teeth behind the canines to provide long-term relief. 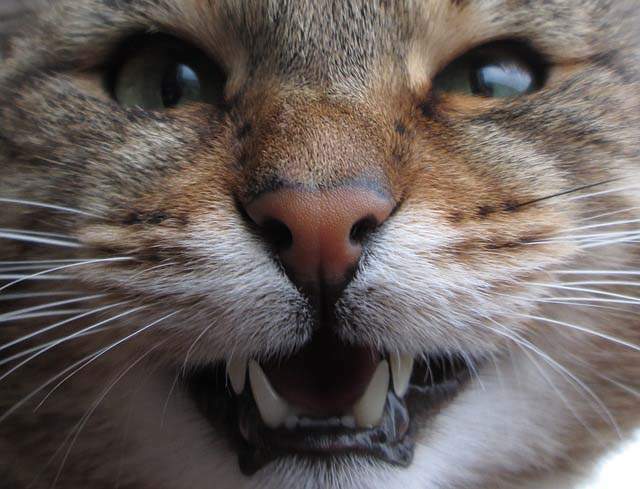 This may sound extreme but your cat will get along just fine without these teeth with the assistance of a softer diet. Also called periodontal disease, gum disease is a common disease affecting the teeth and supporting structures (bones and gums) caused by chronic inflammation and infection. Plaque is a sticky biofilm composed mostly of bacteria (predominantly streptococcus), glycoproteins and extracellular polysaccharides which stick to the teeth. If the pet owner doesn’t follow proper dental care, plaque and saliva mineralise to form tartar (also known as calculus). Tartar develops along the gumline and is yellow in colour. This leads to inflammation of the gums. Once a diagnosis has been made, the periodontist will grade the condition. This is to establish how advanced the problem has become and what treatment will be necessary. Treatment requires commitment from the pet owner and a certain amount of patience from the cat. Thorough cleaning above and below the gum line is necessary. In severe cases, where pocket depth is deep, your veterinarian may need to surgically access the roots by cutting the gums (open flap curettage). Cats usually don’t get dental cavities in the same way humans do, however, a very common problem in cats feline odontoclastic resorptive lesions (FORL) (also called tooth resorptive lesions or cervical line lesions). FORL occurs in between 20-67% of cats. Lesions start under the gingival margin and due to reabsorption of the tissues by cells called odontoclasts. The role odontoclasts is to absorb the bone and roots of deciduous (baby) teeth. In the case of FORL, these cells reabsorb adult teeth. Internal resorptive lesions – Lesions begin in the inner structures of the tooth and don’t become apparent until they work their way to the outside. External ondoclastic resorption – These lesions begin at the cementoenamel junction (neck of the tooth). Cervical line erosions – Occurring along or just above the gum line on the teeth. Stage 1 – Application of fluoride varnish or sealant over the tooth. Crown amputation – Remove the tooth to the level of the gum, leaving the root fragments intact, gum tissue covers the underlying area. Moderate to Severe FORL – Surgical removal of the entire tooth, which will be performed under general anesthesia. A dental abscess is a localised collection of pus, (a foul smelling thick white/yellow liquid that is primarily made up of dead white blood cells and bacteria) located within the tooth or surrounding tissues. Dental abscesses can occur for a number of reasons. Bacteria from a dental cavity descending into the inner part of the tooth and gum, resulting in the body mounting an immune response and walling off the affected area. Trauma such as a broken tooth. Trauma can occur as a result of an accident (hit by a car) or biting down on something hard. Ten percent of all cancers in cats are oral cancer and squamous cell carcinomas (SCC) are the most frequent type. This cancer accounts for 60-70% of all oral cancers in cats. The next most frequent are fibrosarcomas, other cancers include lymphoma and malignant melanoma. Most cancers are referred to specialist veterinary centres. The outcome for cats with oral cancer is poor, with only 10% surviving the one year mark. In many cases, surgery is not practical, even when surgical removal occurs, the recurrence rate is very high, in which case palliative care is recommended. Treatment can be difficult due to cancer quickly invading surrounding tissues. If the tumour is found early enough and is in the front portion of the mandible (lower jaw) surgery (mandibulectomy) may be performed. Cryosurgery (freezing) may be performed on small tumours. Radiation therapy may be recommended before surgery to shrink the cancer or after surgery to kill off any remaining cells. If the tumour is too large, or not in a part of the mouth which can be surgically treated, radiotherapy and/or chemotherapy may be used to shrink the tumour and slow down the growth. A fractured tooth is a crack or a break in the tooth which most commonly occurs as a result of trauma such as a fall from a height, blunt force trauma or biting down on a hard object. It can involve the enamel only or the enamel and dentin beneath the enamel. Left untreated, a dental fracture can become inflamed and/or infected. Where possible, repair to the tooth which may include placing a crown over the break or root canal therapy. Severe cases will require a dental extraction. The jaw is one of the most common bone breakages to occur in cats. Most broken jaws occur as a result of a serious trauma such as a car accident, gunshot wound, kick or a fall from a height, resulting in the cat smashing his jaw on the ground. Causes include bone cancer, trauma, bone infection, hyperparathyroidism, and gum disease. The jaw comes together in two parts, the upper jaw (maxilla) and the lower jaw (mandible). Two bones make up the mandible, joined along the midline, which runs from front to back. Both the upper and the lower jaw can break and a fracture can occur anywhere along the jaw, often the lower jaw will split along the midline. Breaks can be classified as open or closed, open breaks are where the bone protrudes through the skin and closed are where the skin remains intact over the break. Open breaks are common with jaw fractures as there is not much tissue surrounding the jaw bones. Surgery to repair and realign a broken jaw. If a midline fracture has occurred, your veterinarian will wire the two sides back together. A front to back break will require wiring or plating to hold the pieces together. Treating other injuries. Damage to the soft tissues surrounding the jaw is common, which will require treatment to remove debris and clean the area to prevent infection. Addressing and treating the underlying cause, such as gum disease or hyperparathyroidism. Oral cancer is a particularly invasive cancer, which can quickly spread to local tissues, including the jawbones. If the cancer is in the front portion of the lower jaw, surgical removal may be possible. Chemotherapy and radiotherapy may be necessary as a follow-up. 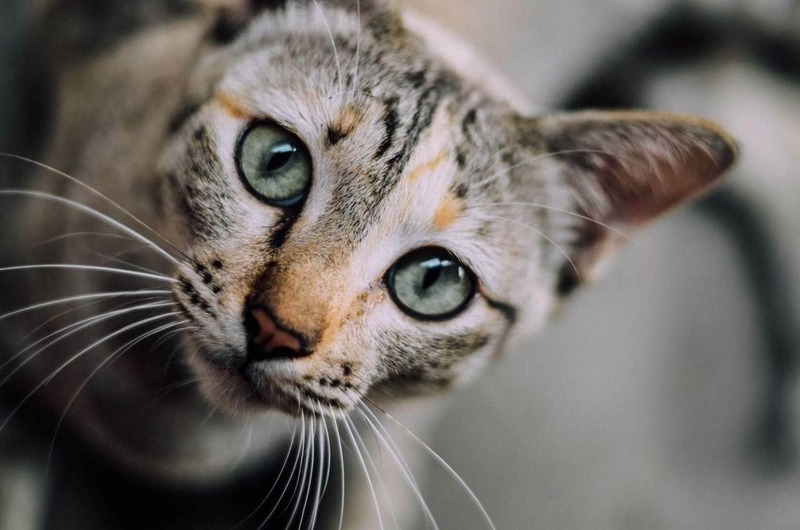 Chemical, electrical or thermal (heat) burns can occur if the cat ingests a corrosive substance, chews on an electrical cord or consumes hot food which can cause damage to the delicate mucous membranes. All types of burn are a medical emergency. If the cat has ingested a chemical, flush the mouth immediately and then proceed to the veterinarian. Do not induce vomiting unless instructed to do so. Treatment of oral burns depends on the severity but may include antibiotics and analgesics to manage pain. Severely affected cats may need a feeding tube until the mouth has healed. What can I give my cat for dental pain? 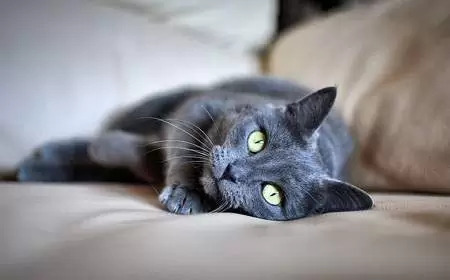 Unfortunately, cats have an altered metabolism to humans and even dogs and the common over the counter pain killers we can take are extremely toxic to cats. The only safe way to help a cat in pain is to see a veterinarian who can treat the underlying cause and where possible, prescribe safe painkillers. In the meantime, feed the cat a soft diet to relieve the discomfort of hard food on a sore mouth. Having experienced dental pain in the not too distant past, my sympathy goes to any pet who is experiencing it. Why Do Cats Go Away To Die?